Carpinteria Wine Company is proud to offer our customers the best wines at the lowest possible prices. 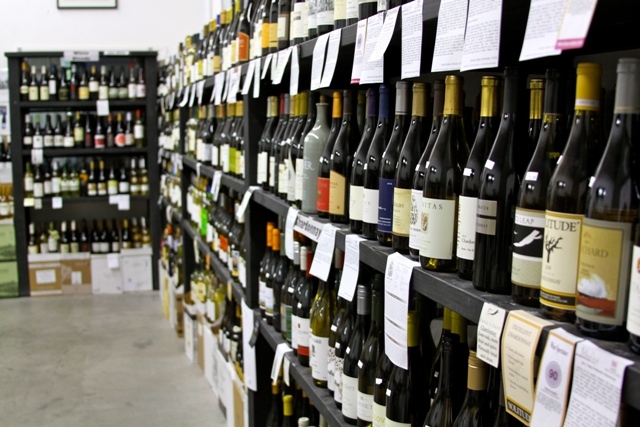 We are a no-nonsense, low-overhead, discount wine shop open to the public, similar to Wine Club Santa Ana or Los Angeles Wine Company. Now you no longer have to travel to LA or Orange County to get the best wines at the lowest prices. Each bottle on our shelves has been hand-picked for its outstanding quality and value. You will find an impressive selection of the best wines from California, and around the world. Our prices are also competitive with Trader Joe's, Costco and Cost Plus. You will never find a "sale" at Carpinteria Wine Company, because our wines are always offered at the lowest possible prices. If you are looking for a single bottle to complement tonight's dinner, or multiple cases for a special event, stop by and browse our selection. To visit and "Like" our Facebook page go here! 2017 Mollydooker Shiraz "The Boxer"
$10 per person, adults only please. Please visit and "Like" our Facebook page here! to persons who request a subscription to our newsletter. Exit Carpinteria Ave. We are on the right side of the street about 400 yards off the exit in the Carpinteria Business Park (across the street from the peach condos). Exit Santa Monica Rd. At the stop sign turn right onto Via Real. At the next stop sign turn right onto Santa Ynez Ave. and go over the freeway. At the signal turn right onto Carpinteria Ave., past the 'not a through street' sign. 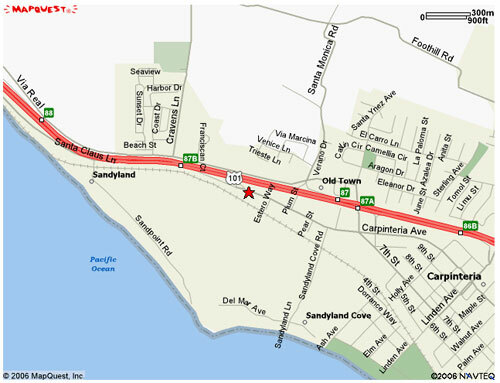 We are on the left side of the street in the Carpinteria Business Park (across the street from the peach condos). 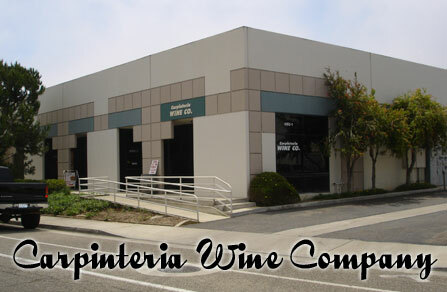 Carpinteria Wine Company is Family owned and operated. Thank you for your support of a local community small business...and don't forget to "Tell a Friend!" © 2014 - 2015 Carpinteria Wine Co.